Noel has always been fascinated by the real estate industry. Born and raised in Chicago, Noel worked in social services for about eight years before becoming a licensed real estate broker. Working with young men and women with special needs taught Noel how to work with people of different backgrounds. 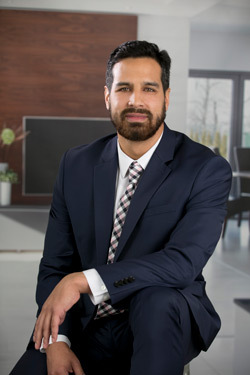 Transitioning into a career as a real estate broker has allowed Noel to put his expert communication and relationship building skills to work for his clients. Noel sees the buying and selling process as a milestone in his clients’ lives, and understands that a home is much more than a shelter. Noel helps his clients navigate Chicago’s expansive real estate market to find their dream home, helping them carve out their personal sanctuaries in the bustling city. When not at Dream Town, this Northside native tries to stay as active as possible. Whether playing basketball or riding his bike along the lakefront, he’s always on the go. Noel likes to unwind with his favorite podcasts or exploring the city's culture and art scene. Noel believes in giving back, and often volunteers for special needs programs, and recently coached for the Special Olympics!